My husband and I are currently trying to put aside one evening a week for a date night. 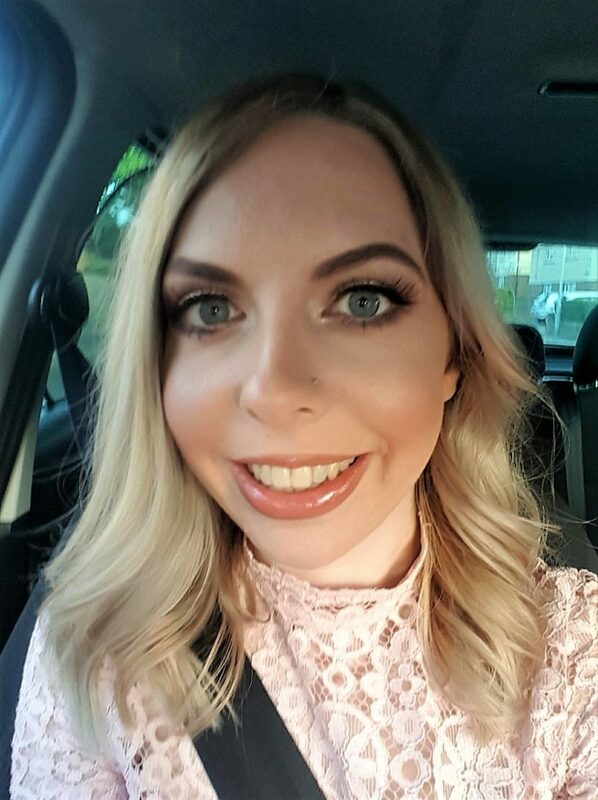 Of course, going out every week would be expensive and we wouldn’t want to ask family to look after Autumn that frequently. As such, we usually spend the time at home. Something we really enjoy is playing board games together. 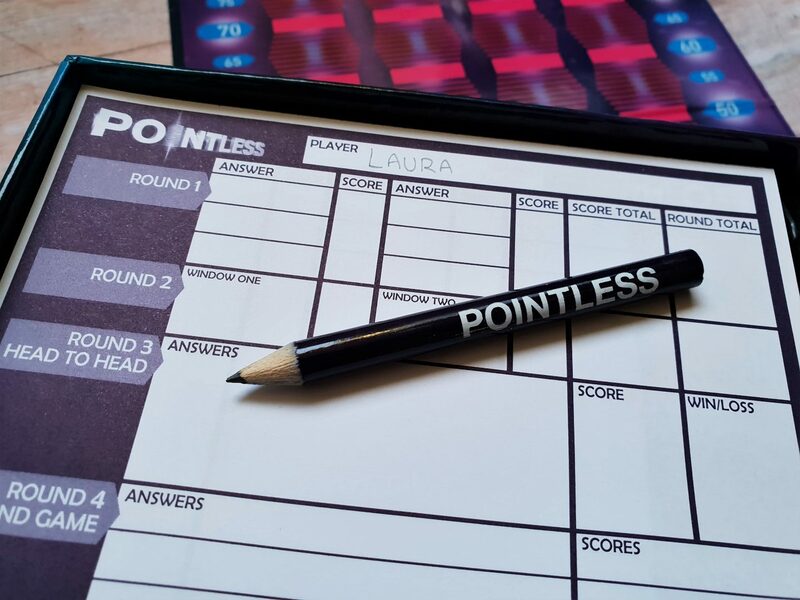 Recently, we’ve been asked to review the Pointless board game, which is based on the popular BBC TV show. The game is for 2-4 players or teams of 12 years and above. 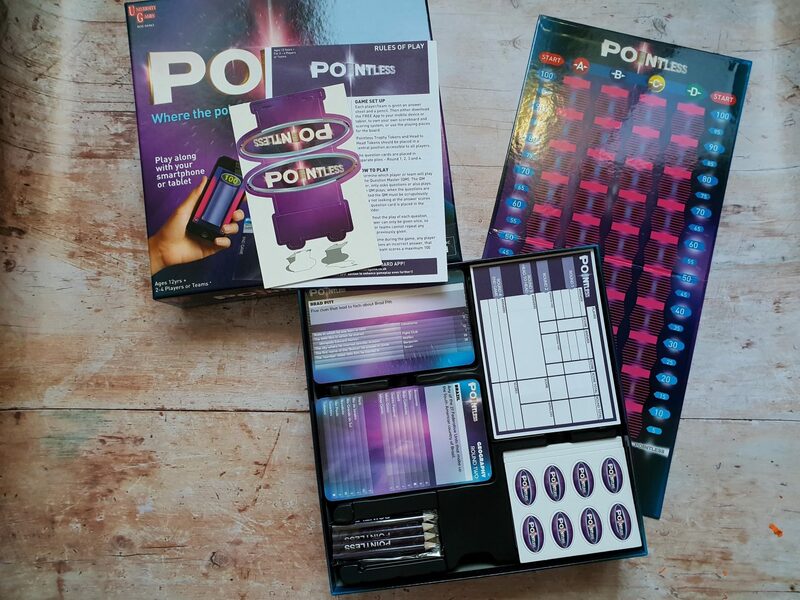 It contains 341 questions, a scoreboard playing board, answer sheet pad, question card holders, ‘trophy tokens’ head to head tokens, playing pieces, a Pointless ‘trophy’ and the rules. There is also a free app you can download on either Apple or Android to keep track of your scores, states and tell you who is the current champion! It’s fun keeping track with the app, which is well designed. Although, we got a bit confused the first time we played and messed it up. As such, we reverted to keeping scores old school with the score sheet and pencil! There is a good selection of questions, which will play to a variety of people’s strengths. It’s intriguing trying to make your brain think of an answer, but not the best answer, and watching other people’s expressions as they do the same. 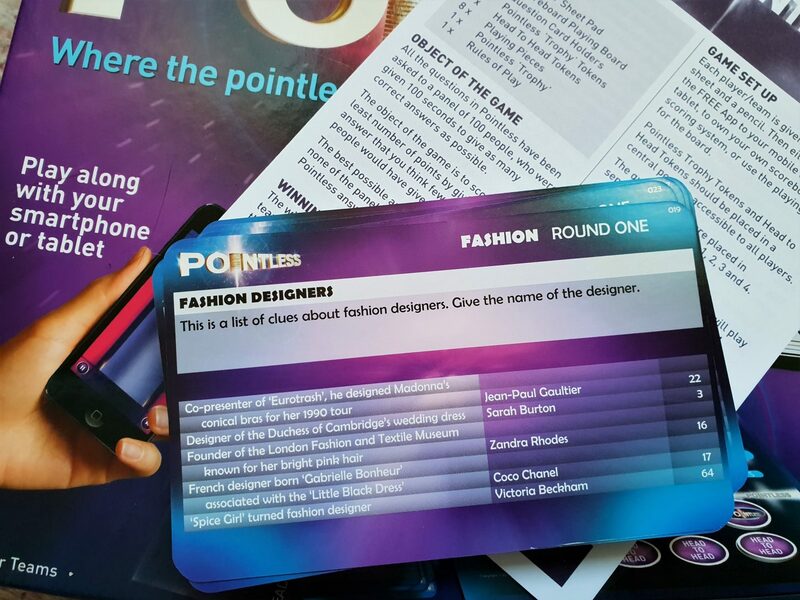 The game consists of 4 different rounds, each with a slightly different format. When you initially start playing, it takes a bit of getting your head around. However, it keeps the game fresh and interesting rather than just answering question after question. The more you play, the more smooth game play is and you don’t need to refer to the instructions so much. I think this game would be more fun in teams. However, my husband and I have still enjoyed playing it as a twosome! I agree with the age guide of 12 upwards, as you do need to have a certain amount of knowledge to be able to really play it. Whilst it’s intellectual, it can still be quite funny at times. It certainly makes you think, too. Disclosure: We were sent this game by University Games for the purpose of this review. As always, all views and opinions are honest and my own.